When people think of neighborhoods in downtown Boston, they think of the North End, the South End, Chinatown and Beacon Hill. 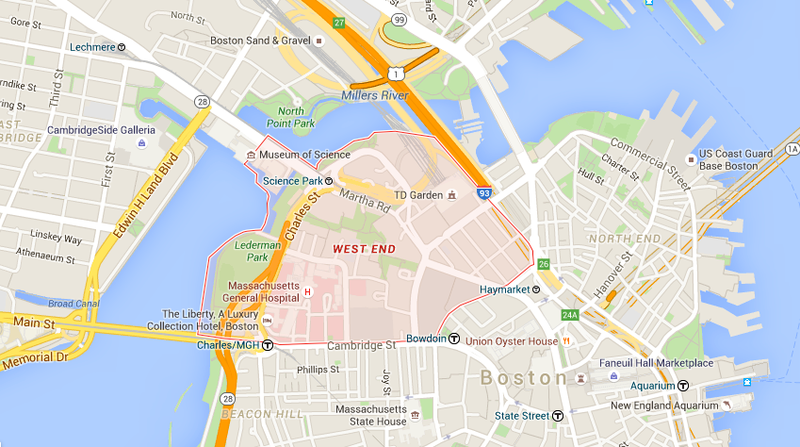 When I heard of the “West End” of Boston, I wasn’t even sure if it existed. Of course, the area of land that is the West End still exists, but there is no longer a neighborhood. Instead, the space is home to complexes that take up vast tracts of land, such as the Mass General Hospital and the TD Garden. 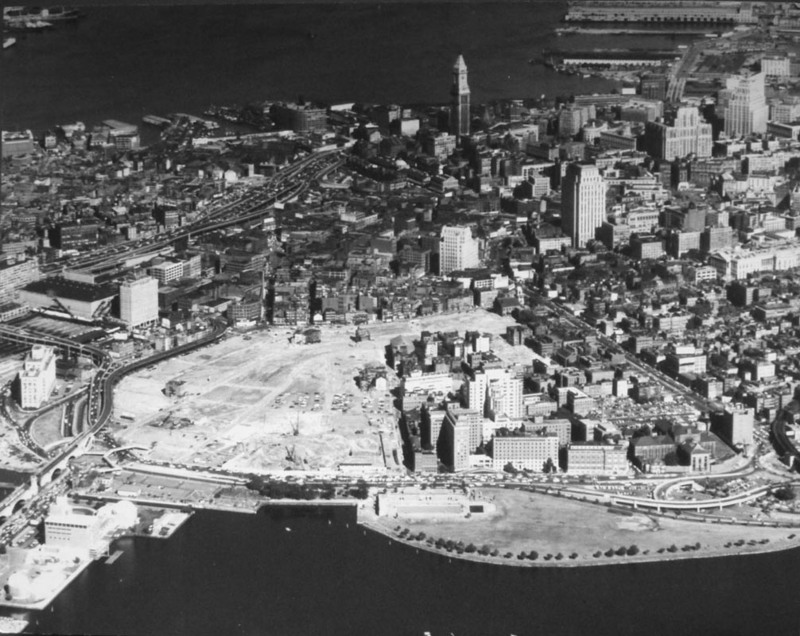 A complicated but ultimately devastating political movement called “urban renewal” occurred in the 1950s, which explains why many cities in America look the way they do now. 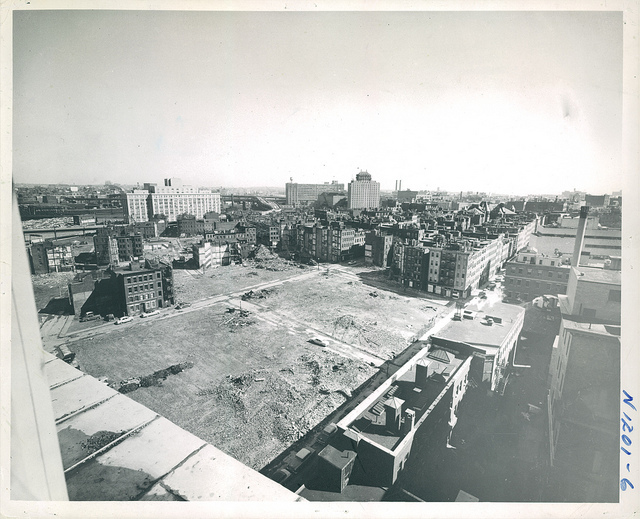 Urban renewal is “the redevelopment of areas within a large city, typically involving the clearance of slums.” Boston embraced this movement, particularly in two areas: the West End and Scollay Square (what is now Government Plaza). It’s hard to imagine what these places look like to what we immediately know; the equivalent of these neighborhoods is the North End, which was spared from the razing. I had never known this chapter of our city’s history and always assumed things were just the way they were. 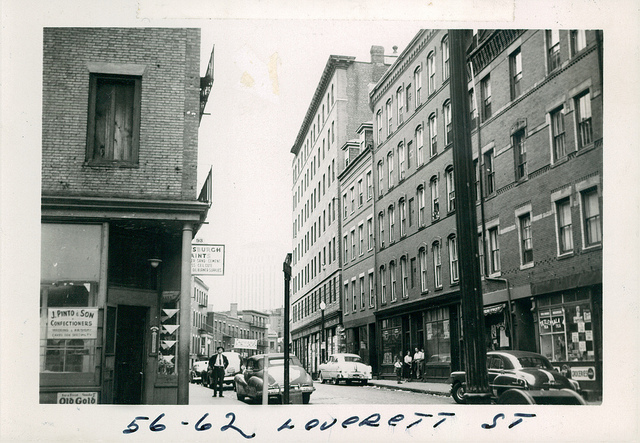 Looking up pictures of the West End in its original form, I see a completely unrecognizable village, featuring the brick built homes that give Boston its character. Observing the before and after pictures of the urban renewal policies shows the scope of destruction. The only remnant of the “Old West End” is a single tenement. It stands at 42 Lomasney Way. 500 feet from the building is the West End Museum, a museum dedicated to preserving the history of the neighborhood. The exhibit I visited, “The Last Tenement,” tells the story of how an entire community dwindled down to a deserted flat. At the entrance of the room, the introductory sign asks its patrons a few questions. What makes a neighborhood and what makes a slum? What makes a community? How do local values and public policy interact with each other? How do cities come to make decisions? All of these questions are answered in the tragedy of the West End. 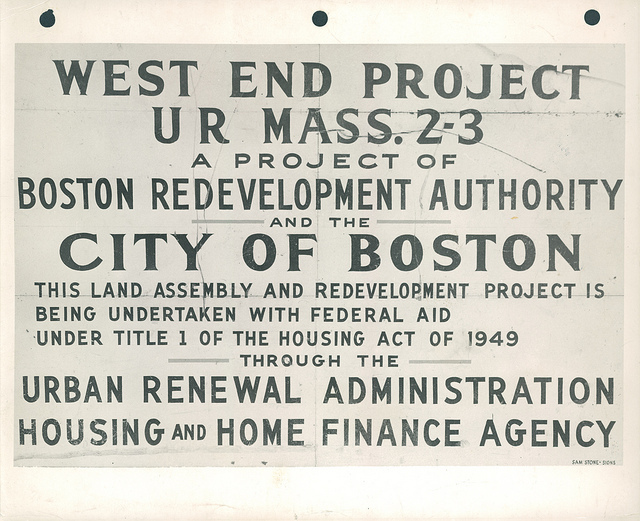 For most of its existence, the West End was a haven for Boston’s “undesirables.” These areas were home to lower-class Bostonians and immigrants: Irish, Italians, Jews and various nationalities from Eastern Europe all lived side by side. Something that was completely unknown to me was that the West End was home to a number of free black residents, starting in the late 18th century. Between the years 1876 to 1895, at least one black resident from the West End served in Boston’s community council. The information was enlightening, especially since the stories of black Bostonians are a component of the city’s history that are too often overlooked. The museum does its best to humanize those who were residents, to show that this was once a place where real people made their lives. Trophies from sports clubs are on display in a glass case, bulletins from the social clubs are framed and pictures of kids in classrooms are shown in grainy black and white. There is heavy emphasis on what makes a community: active church life, the importance of the corner store, a sense of belonging despite differences. 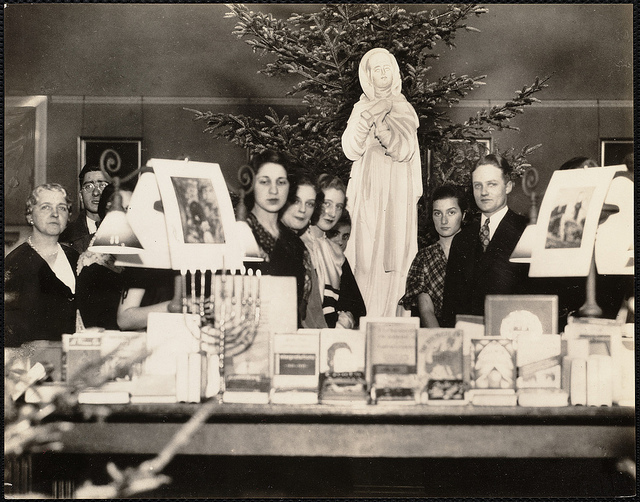 One sign jokes how Greek Jews and Russian Jews complained about each other, while the Italian Catholics had their opinions on Irish Catholics; but when confronted with outsiders, they stood united in their shared West End identity. Alas, they could not stand against the larger forces in the city and federal government that were determined to destroy them. While the process of urban renewal is perplexing and dense to tell, the museum manages to explain the neighborhood’s demise. Important historical events such as the middle class flight from the city, the Housing Act of 1949 and decaying buildings all contributed to the razing of the town. What surprised me most was that initially most West Enders did not fight the demolitions, because they had been promised housing in the “new West End.” Thus, there was no major protests or outrage from residents. 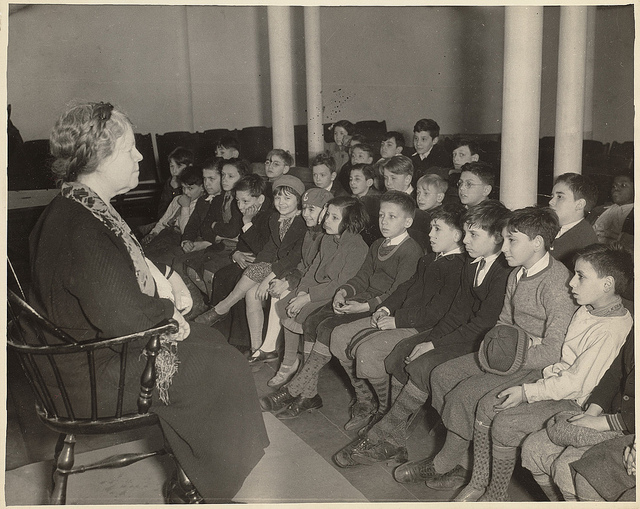 Only when their tenements had been destroyed did they realize they would never be able to return home. Of course, Boston as a city has changed significantly over time since it was founded in 1630. Even the exhibit noted how the West End went from a collection of marshes, to Yankee townhouses, to immigrant settlement homes. Cities are ever changing organisms and should embrace their role of being places where transformations can flourish; whether they be technological, political or social. Some may wonder at the purpose of such discussions when these issues are clearly a matter of the past. Yes, cities should embrace change; but the nature of how cities change should be decided by the citizens that call it home. These discussions are especially relevant now, in Boston and all over America, when gentrification is becoming a major determinant of change in urban life. Who gets to to be a part of the conversation and who gets left out? As the lessons learned in the West End shows, including residents in the process is absolutely vital to creating thriving cities and happy citizens. The West End Museum is located at 150 Staniford St, Boston, MA 02114. It is open to the public from 12-5 PM Monday-Friday. Admission is free.